Photomodulation using Light-Emitting Diodes (LEDs) is a non-invasive phototherapy technique. It involves using lights with specific wavelengths at a low intensity to stimulate natural biological repair mechanisms. Biolux technology uses a range of wavelengths between 470 and 850 nm, offering lights capable of penetrating tissues at various depths to stimulate cells and open the therapeutic window. The wavelengths chosen define the conditions for which the technology can be used. Since it was introduced, photomodulation has often been considered an empirical technique with random results. 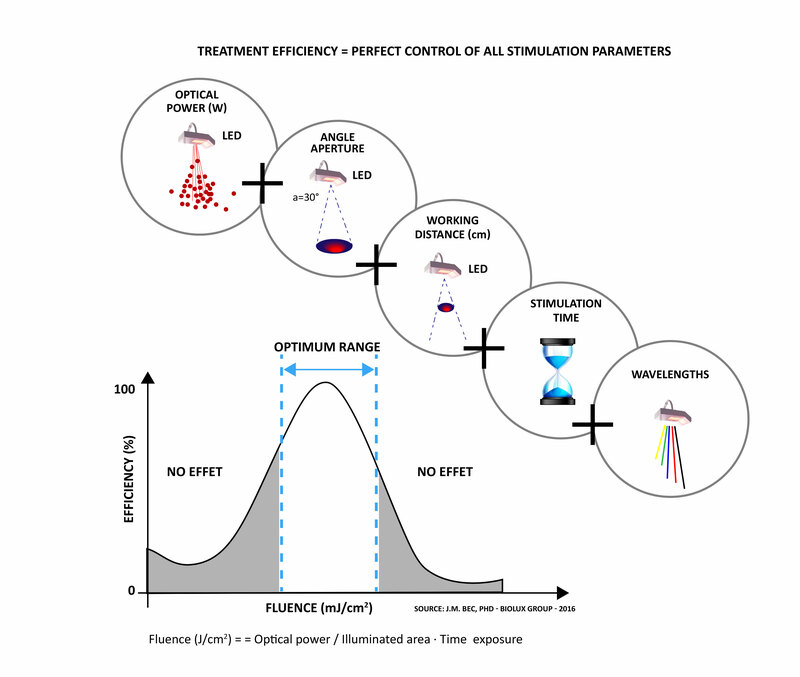 Ten years of research led to an understanding of the biological mechanisms triggered and highlighted how important it is to control the stimulation parameters to obtain effective treatments with objective doses. Today, photomodulation is a safe, well-managed and effective technology. To obtain photomodulation’s biological effect, a range of doses with optimised effects must be used. Outside this range, the effect is reduced or completely inhibited—this is the biphasic effect. 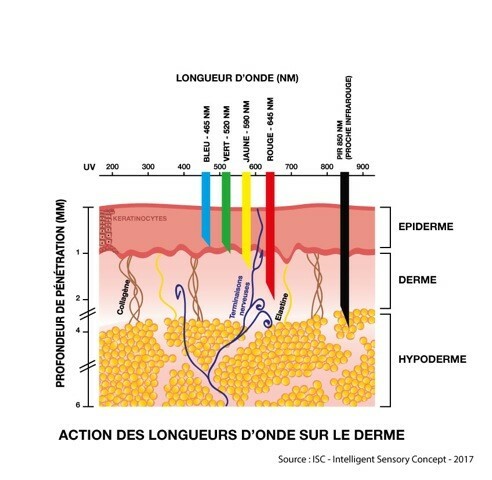 Emits a range of five wavelengths: 470, 520, 590, 645 and 850 nm that act widely on all skin layers. Dermatology : Using this innovative technology, Biolux has developed new therapeutic treatments that are gentle and protect the skin. Aesthetic Medicine: : Works to regenerate cells from the inside, preparing tissues for all localised treatments with remarkable results.